A fired Florida police officer was found guilty of manslaughter and attempted murder Thursday for the fatal 2015 shooting of a stranded black motorist, becoming the first officer in the state to be convicted of an on-duty shooting in 30 years. 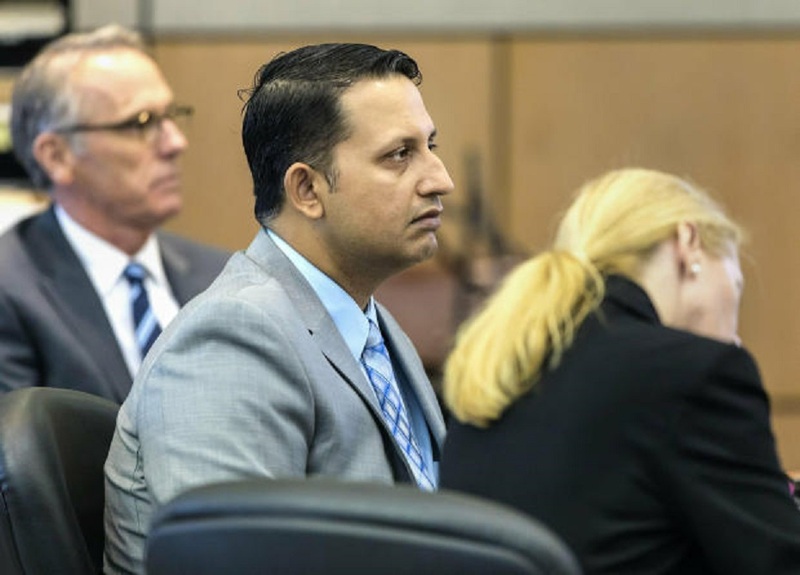 Nouman Raja, 41, now faces a possible life sentence for the death of Corey Jones, 31. A four-man, two-woman jury had deliberated for about four hours. Raja did not react as verdict was read, while about 25 relatives and supporters of Jones looked on, some weeping quietly. One said “the sweetest sound was the click of those handcuffs” after Raja was led from the courtroom. Prosecutors believe Jones pulled his gun and tried to get away. Raja fired three shots and Jones ran down an embankment. Prosecutors said he threw his gun, which was found 125 feet from his body, but Raja fired three more times, 10 seconds after the first volley.